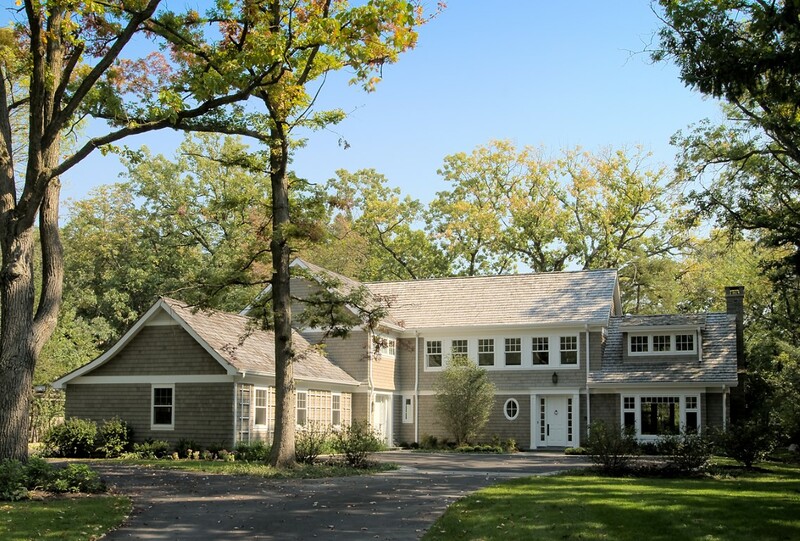 Nestled into a wooded site, this white trimmed and warm gray shingled house has the timeless feel and comfort of classic Shingle Style houses. 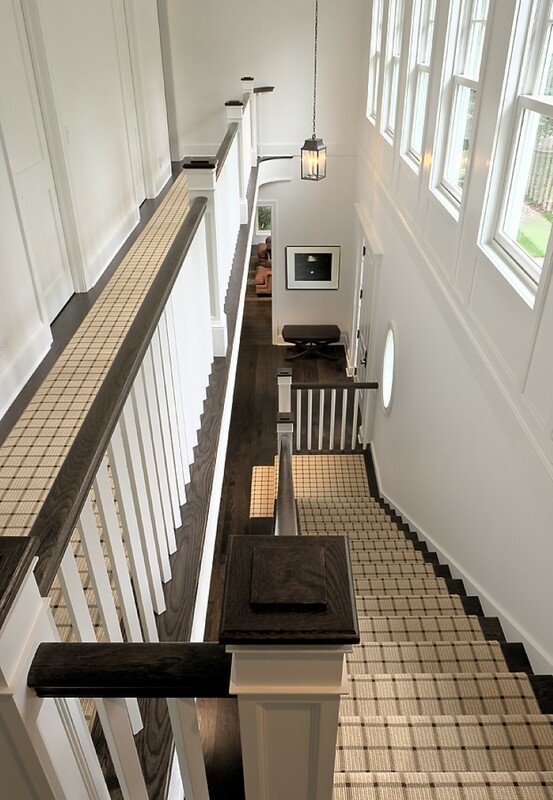 The classic design continues into in the finely detailed, yet clean-lined interior as well. While the spine of this family house is a long, two-story stair gallery connecting to all of the rooms, the ample kitchen/breakfast area is its heart.